Rent Amphitheatre of the Redwoods | Corporate Events | Wedding Locations, Event Spaces and Party Venues. 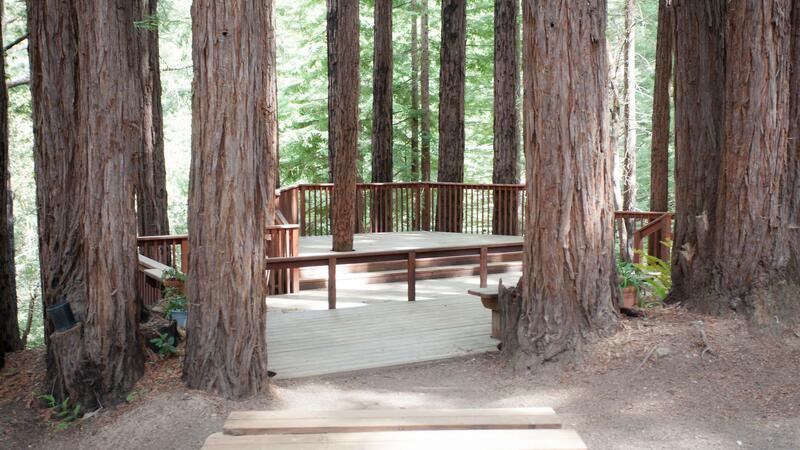 Located on 104 acres of redwood forest in the Santa Cruz Mountains of California, Amphitheatre of the Redwoods at Pema Osel Ling hosts destination weddings, ceremonies and receptions, retreats, and workshops. Our eco-friendly retreat center offers a choice of locations for wedding ceremonies and receptions, wedding coordination, indoor and outdoor meeting areas, a wide range of overnight accommodations, a full-size lap pool, a fire pit and a commercial kitchen that provides delicious personalized catering. Our rates are reasonable, and our friendly, supportive staff is available to assist you with every aspect of your event.